Now educational technology for teachers made a huge influence on the modern society, in particular on the young generations. Parents claim that their kids now are more likely to staring at the phone than studying, which is not valuable for their future. 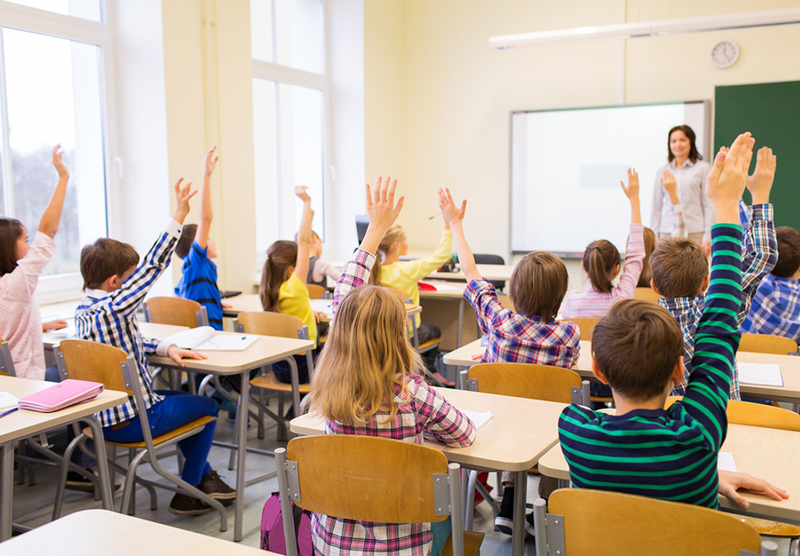 If you are a teacher, who faced up with educational process issue and doesn’t understand how to make your students learn your subject, here is 7 tips, which will help you to make your classes more enjoyable. The old-fashioned way of teaching, which was built only on professional relations between student and a teacher is not effective anymore. These days, if you want to encourage a student to learn your subject, ask what he likes, find the connection between him and your methods. Ted talks will help you with it. It has plenty of educational programs for everyone, developed by quite successful and respectful people from all over the world. They have plenty of interesting and even instructional ideas. It may be considered as a pedagogical practice not only for teachers but also for students. These days the biggest problem is the boredom of students. They are tired of making the same tasks, which are extremely annoying, though educational. Search for new ways of presenting and interpreting your material. Make it more interactive and allow your students to use their phones for training purposes. Test some educational apps and demonstrate them to the young audience so that they could study in their free time as well. Interest them in your subject through things they like, which are appeared to be any helpful resources on the Internet, like Ted talks or edubirdie canada (which was used in my previous investigations). Many teachers think that competitive spirit in class vanishes when kids are turning into teenagers. It is not true, though. Teenagers are always trying to prove themselves, and this factor in their behavior may become crucial in their studying. Class Dojo app will help you encourage students to learn your subject. This app is a perfect way in teaching new technology in the classroom. It can serve as a virtual class with a quite cool design, where you register your students and can give them points for their studying improvement or vise versa. It shows students the determined reason of good/bad mark and also provides them short feedback about studying process in general. What is more important, other students in the class may see it and make notes as well. Children, especially teenagers, are curious to know everything that is going on around them. If you are a young and inexperienced teacher, don't distant your students too much, but share information they want to know, be closer to their personal interests and everyday problems. However, you have already know the best method: get a Twitter account for instance or any other social network to build a connection. Therefore, it gives an additional benefit. You will be able to share stuff in your free time, follow some of your students and understand why they behave that way. This is a good strategy if you are working with problem-solving classes. Being a teacher means studying for the rest of your life. Technologies change so quickly that you need to be aware of it every single minute. Luckily, there is no reason to visit seminars, which are taking too much time. Now, there are a lot of educational websites for teachers, and you can just Google any specific site and read useful articles or do some exercises to refresh your memory. The best one is learner.org, but you can find something else that fits you more. Being always prepared and well-organized for the lessons is not that much easy as it may seem. Perhaps, it is the high time to give paper notebooks and take up online ones. There is an enormous amount of them, like Adittio and many others. Search for planners that was designed especially for teachers. They differ from the usual ones very much, because they have special tools. They will help you to carry less unnecessary things and be always equipped with the material for your classes. Many parents urge to know about their kids’ success, and that is normal practice. Instead of wasting your time on parents’ meeting, offer them to use a special app such as Seesaw for instance. It allows students to upload their work, on the other hand, the teacher can check it there, and the parent can see the final result. This app facilitates control for both: teacher and a parent, making everything as fair as possible. Social media has made an impact on our lives in more ways than one. It not only has changed the way we communicate, but has also allowed us to expand our networking group. 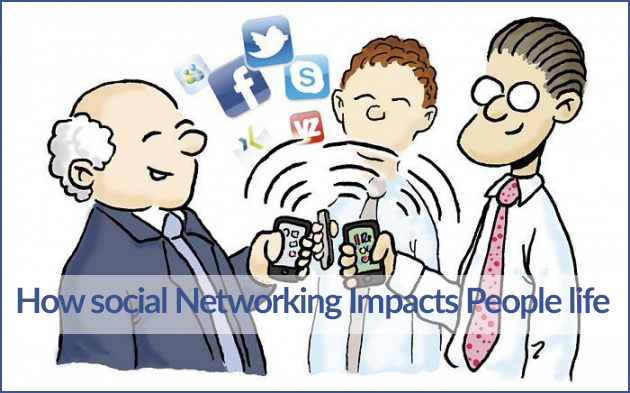 Here are some top areas of our life that social media has strongly affected. Not too long ago, advertising your business meant a good amount of capital investment. But not so anymore, thanks largely to social networking sites, like Facebook, Twitter, and the like. Today, almost every business has a presence on these networking sites—and for good reasons. One, advertising online doesn’t cost much. Second, the potential to reach out to a bigger audience group is tremendous (Millions of people log in to Facebook, Twitter, YouTube, etc. every day.). A recently-published article in a leading international daily has concluded that for most small businesses with no ad budget, Twitter is the sole source of marketing that is one of the examples of social media marketing. With that said, advertising is not the only thing in which social networking sites have proved useful. They also help small businesses collaborate with others and find new employees through Twitter searches, interest-focused Facebook groups, and niche social networking sites. Most of us like connecting with people who share our interests, and there is no better place to find and connect with like-minded people than social networking sites. Even if your area of interest is a little different than those of the majority of people, for example 16th century poetry, you are likely to find a Facebook group about it or many other people with interest in it on Twitter. According to a recent study, the time we spend on online networking sites has increased many times over the last few years. While Facebook is still used mostly for connecting and staying in touch with friends, almost half of Twitter users use it to stay connected with their friends. No doubt, there’s only so much that one can share on Twitter and Facebook. However, people regularly expand their online interactions to in-person meetings. Each morning, many social networking site users check out the stories posted by their friends and people they are following before logging on to a news site or reading an actual newspaper, partly because of the ‘trust’ factor; after all, these are the people we have chosen to follow. However, this is not to say that RSS feeds are not being used anymore to stay up-to-date on publications and blogs of interest, because they are. In fact, they are just as popular today as before. However, the list of sources worthy of our attention has grown significantly in the last few years. Moreover, social media gives us a chance to not only get our daily dose of latest news, but to also talk about it with the person posting it. Social media increasingly is being used by people to run a social awareness campaign or to raise a voice about things important to them. And with more and more people joining social networking sites, this trend will only get stronger. Vaishnavi Agrawal loves pursuing excellence through writing and have a passion for technology. She has successfully managed and run personal technology magazines and websites. She currently writes for Intellipaat, a global training company that provides e-learning and professional certification training. The courses offered by Intellipaat address the unique needs of working professionals. She is based out of Pune and has an experience of 6 years in the field of content writing and blogging. Her work has been published on various sites related to Tableau Training, Hadoop Training, Digital Marketing and more. A smartphone or a mobile phone is the one gadget most people cannot leave home without. It’s used by everyone no matter what age- Adults use their mobile phones to store important information, send emails and communicate with coworkers. Teenagers use mobile phones for access to the internet or social media. Young or old, a smartphone has become a necessity. Unfortunately, our phones are also prone to damage and malfunction. Because of our constant use for it, we often don’t have time to go to a service center to have our phones fixed. What you don’t know is that some common smartphone problems can easily be fixed by you! So save yourself a trip to the service center. Here are 5 common smartphone problems and how to fix them! 1. Battery Problems: Every mobile phone needs a battery, without it, your smartphone will not work. The battery is also one of the reasons why we experience phone overheating. Have you found yourself thinking “why does my phone get hot?” or instances when you want to scream “my phone won't charge?” You are not alone. Battery problems are fairly common for all mobile phones. 3. Storage - This is a common problem for iPhone users especially those who have purchased 16GB iPhones. Over time, you realize that you are in need of more storage space and unfortunately, you need to delete unused apps. Purge your mobile phone of photos, data and other information that you no longer need. 4. Weak or No Signal: When your smartphone all of a sudden, is unable to receive calls or messages and the signal indicator shows weak or no signal then worry not! In most cases, the problem lies with your data provider or the area coverage. Sometimes we enter rooms or fall into places where signals are really weak. A quick solution to this is to do a quick restart and soon, all your messages will come in again. Alternatively, you can also move to an area where there’s improved signal strength. There are many factors that could disrupt signal strength and moving to another area could easily solve your problem. 5. Cracked Screens or Immersion in Water: Accidents happen and unfortunately water and electronics are not a good mix as well as your smartphone taking a tumble down the staircase. Sometimes these accidents can be prevented with the help of sturdy mobile phone cases. They may be expensive but investing in mobile phone cases can save your phone from a cracked screen or from water entering its ports. Another fail safe protection for your smartphone is gadget insurance. common smartphone problems? What solutions did you take in order to fix it? Share your ideas and experiences in the comments section below. Employees are the soul of company and keeping them happy is the most important thing to consider. Offering a better working environment, handsome and timely package are certain things that need to be followed in the right way. Effective and well manage data base in a huge firm is important for keeping a close watch over services of employees efficiency and performance. 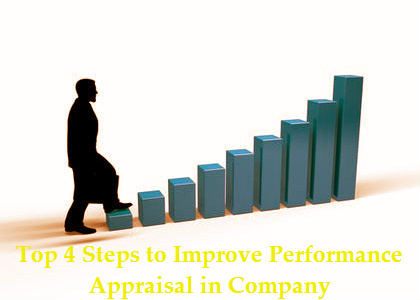 This ultimately helps in performance appraisal of the employees and keeping them happy for long term. · Assessing Job Performance: The ratings of the employee’s performance entirely depend on the company’s performance. However, the evaluation process is quite hectic. The process involves observing and keeping the record of each employee by using performance appraisal software which brings down the issues. The solution helps in tracing productivity, problem solving abilities and quality of work primarily; also factors like attitude, co-operation, communication etc. · Ratings and Rankings: Once the rating is done, the assessment is processed by superior authorities, which consist of team or individual. Through the help of software, they post their comments and suggestions for the same. The comments section contains improvements, suggestions, goals to be achieved, potential of employees, etc. 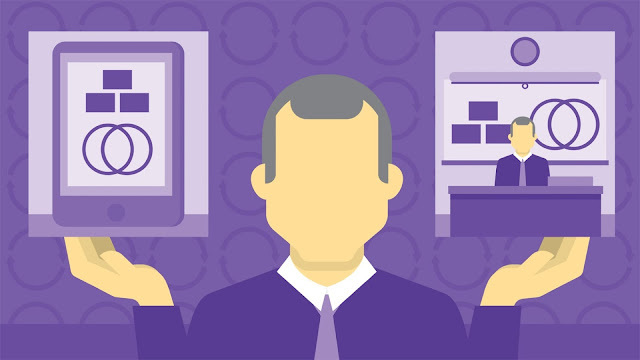 · Remarks: The software also helps to improve the efficiency of the employee. Employers can generate a separate column to put down remarks through which employee need to work on in order to improve their performance. This certainly helps in working hard on required points and stay focused on the work. While evaluation, it is advisable to give examples of strengths and weaknesses of the employees this will help on working on the same in a better way. · Seeking Feedback: The software also comes with feedback section that will help the employee to give feedback and approach the authorities regarding the assessment. They can also raise question regarding the same. The main aim of having performance appraisal software is to get connected with employee through evaluating them and helping to keep their performance well for long term. Using of such software will certainly boost the working environment of the staff and take the company to the forward level. It is estimated that 96% of the world’s population (7.1 billion) or 6.8 billion are mobile users, according to the February 2013 report of the International Telecommunication Union (ITU). This represents a 13.3% increase over the 6.0 billion of 2011 and higher by 25.9% than the 5.4 billion subscribers in 2010. There was also an increase on time spent by the average US mobile user from 2 hrs and 38 minutes daily in March of 2013 to 2 hrs and 42 minutes daily as of March of 2014 as reported by Flurry news. In addition to the huge number of mobile users, there is also the sheer number of mobile applications available on various App stores. From the iTunes App store alone, downloaded Apps reached50 billion for the Month of May in 2013. And out of the 2 hrs and 42 minutes time spent on mobile devices, 86%of them were spent on downloaded Apps, a clear evidence of how Apps have dominated the mobile world. In general, mobile Apps are supposed to make life easier. There are business Apps that literally put your business in your pocket. There are also apps that revolutionize learning and Apps for pure pleasure and leisure such as Apps to download music,movies and games, Apps to connect with friends and more. What adds to the universal acceptance of Apps is the availability of free Apps, some of which make saving money easy. These are barcode readers or scanners that allow you to compare prices of what you need and get them at the cheapest price from a specific retailer. These Apps usually have an extensive database of products from a multitude of local and online retailers. Pic2Shop is the pioneer barcode scanner and is one of the few Apps that can read barcodes even without autofocus on all Android and iPhone models. Meanwhile, MySuperlist has added features that allow you to enjoy cash backs and set price alerts. 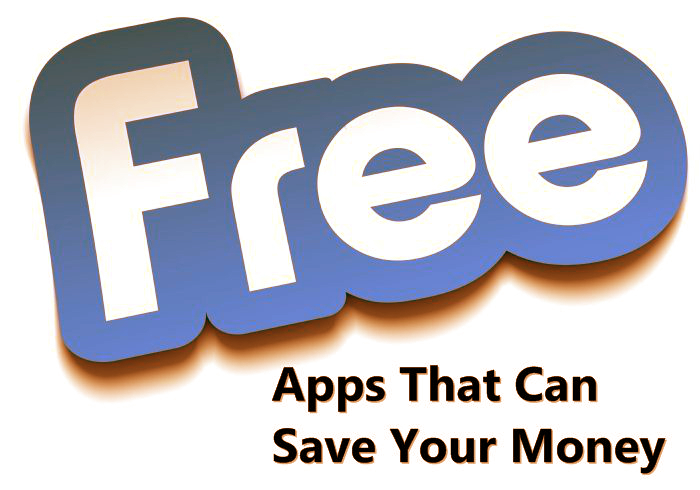 This is one of the best free mobile Apps for saving money. It’s a brilliant budgeting App that makes daily cash management easy and simple. You can create a budget, input your spending and generate a spending report on it. The Spendometer can also generate the data on how much cash is on hand and how much has already been spent on a weekly or monthly basis. All you need to do is input all your spending and Spendometer will do the rest. Skype save you on phone bills. It is a free App that allows you to send a message or make a call, even a video call for free. You can even send photos of any size to friends, family and associates without paying an exorbitant fee For Multi-Media Messaging Services. And you can do all these wherever you are or whenever you want to as long as there is an Internet connection. Livingsocial offers huge discounts on vacations, gyms, spas, restaurants, live performances and events and more in your area as well as in the whole of Australia. Daily discount deals are available and you can buy directly using your mobile device. You can enjoy an active social life at very little cost with Livingsocial. We have mentioned a few apps only, there are many apps but they're are all not free of charge. If you know any other apps that will save your money let us know by commenting on this post. Sometimes news of poor security hits and it sends the whole web-o-sphere into panic. Heartbleed was an example of one such story. Other times, one can't help but to get a laugh out of weak security. 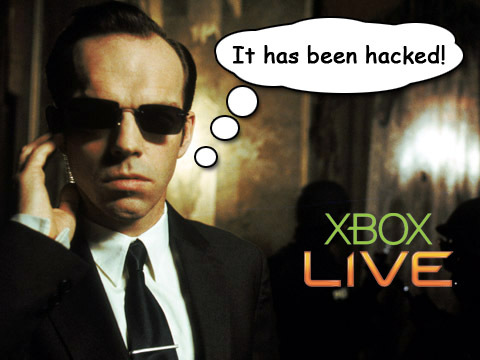 A story that hit last week worth a laugh involved an Xbox account being hacked not by a teenager with a lot of time on his hands, not by a world class hacker or cyber criminals, but by a five year old kid who wanted to play some games he didn't have access to. Shortly after Christmas last year, the child's parents caught him playing games on the Xbox that he shouldn't have been able to play, having somehow hacked his father's account to buy any game he pleased. When asked how he broke into the account, the method used turned out to be... well, kind of ridiculous. He had tried guessing a password to his father's account. When that didn't work, he was taken to a password verification screen where... he hit the space-bar a bunch of times and logged in. Interestingly, Microsoft actually offers a $10,000 bounty to hackers who can crack their system. Given that this seems to have been more of a fluke than a targeted hack, the family didn't get to reap the rewards, but it's kind of funny that educated, technical-minded hackers looking for backdoors and weak points have nothing on a little kid who really wants to play Minecraft. A professional coder is thinking from a professional perspective. They're not looking for dumb hacks that any five year old kid could employ, they're looking for, well, a challenge. When you put a $10,000 bounty on finding security flaws, hackers are looking for a ten thousand dollar hack. Child labor laws probably won't allow this, but rewarding children and casual gamers who can hack the system with free games or whatever prizes are appropriate to your website or gaming service wouldn't be a bad idea. You never know who's going to discover your weak points, so extending bounties to anyone who can find them can help to bring these weaknesses to light in the future. We might not like typing our credit card number in for every single purchase, but adding an extra security wall after login, at least where money is involved, can help to prevent unauthorized payments, so that even if someone can hack your Xbox Live or Steam account, they won't necessarily be able to make purchases in your name. "Sometimes security science may seem like it's more, well, art than science," said Jason Hope, tech expert (https://medium.com/@jasonhope) "but with a rigorous approach to developing and testing systems for passwords, verification and online signatures, it's not impossible to build a rock-solid security setup." The five year old hacker doesn't get to keep all the games he bought, but if he keeps at it, he may one day land a job as a professional White Hat hacker. Companies like Sony and Facebook are known to hire professional hackers on a part time and full time basis in order to explore their security systems' flaws and offer tips to improve their verification processes. Fortunately, it doesn't seem as if the hack has been discovered prior to now, as nobody seems to be coming forward with stories of having their accounts hijacked with the spacebar hack. Most of all, the whole affair has just been a little embarrassing for Microsoft, who generally has a better track record than this when it comes to online security. In the aftermath of this, it's easy to imagine hundreds of gamers trying similar hacks on the PlayStation Network, Steam and Xbox Live in hopes of scoring a bounty, or at least a few games. Planning a company’s website strategy can be a tough. If you’re trying to decide on a content management system as the foundation to your organisation’s online presence, you’ve probably trawled through many possible options. How much content are you going to be publishing? 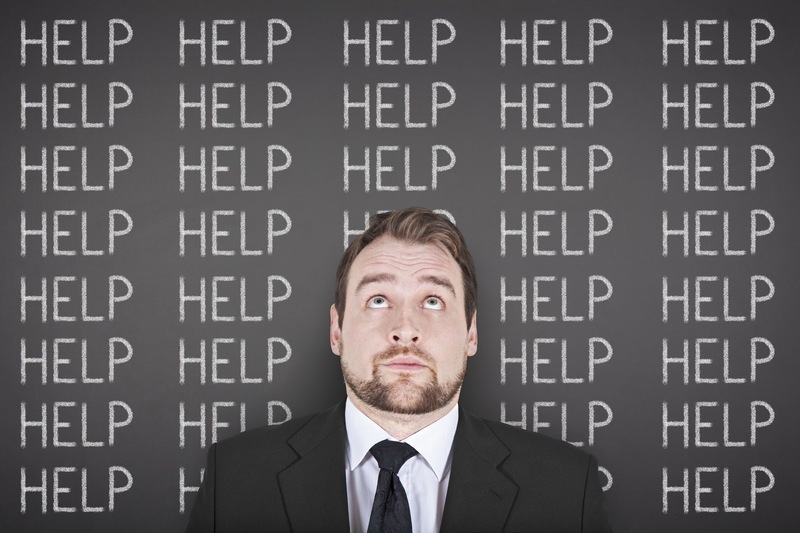 What is the strategy for getting that content in front of your potential customers? If you’re leaving publication in the hands of your staff, then you need to consider ease of use. If you’re employing an outside company to help you, you need to consider the industry standard options. Once you’ve picked a CMS, you’re going to find it a real headache to change course if the feature set doesn’t allow for future expansion, or doesn’t offer the ease of use you require from day one. Open source software will offer huge savings over a proprietary system. You’ll have a wider range of customisation options and the opportunity to tailor every detail to your own needs. Open source solutions like Wordpress also allow you to tap into a huge pool of developer options, as this type of open source solution is hugely popular with a massive user base. On the flip side, a paid-for enterprise solution will likely be less customisable and cost more in terms of both monthly outlay and technical development, but will come with very strong security features and dedicated support staff for more complex applications. If large corporate organisations are using a particular CMS with a high frequency, it’s a good sign it’s a safe option. You need to know that your solution will be supported for years to come and that it has an active user base, or you could be left in the dark if it falls out of favour with developers and designers. Before you dive in and sign up for a CMS, you need to understand that the hosting required may differ in terms of software requirements and ease of set up. Not every CMS will work with every type of programming language, especially where databases are concerned. You need to make some investigations about this before you enter into a long contract with your hosting company. 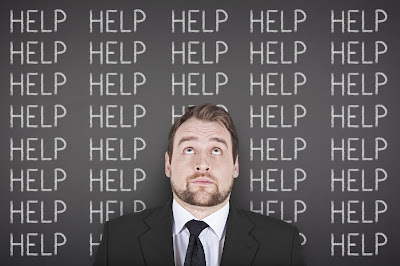 Can You Use The CMS For Marketing Campaigns? CMS systems from companies like Siteglide feature complex and comprehensive tools for managing your marketing campaigns. For more information please refer to : http://www.siteglide.com. If you need the ability to send emails, monitor your results and manage secure areas and ecommerce, then you might be better signing up for a paid-for, enterprise style service. It shouldn’t be a huge issue, but it’s worth making some checks to determine if your current content can be easily migrated and organised on the new CMS. This could be a potential headache that leaves you with unacceptable amounts of downtime and chaos. Choosing a CMS for your business is a process that requires some careful planning and consideration. Check the competition, weigh up the available options, and only make a decision after you’ve checked out all of the options. Wendy Lin is a freelance writer who specialises in guest blogging. She is a CIO of 2 businesses and is also a watercolour painter. Which Phone To Buy? 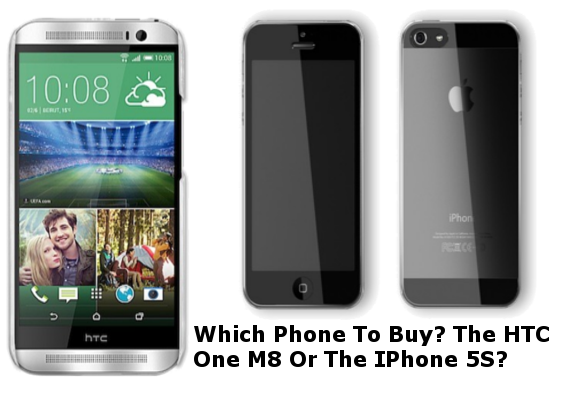 The HTC One M8 Or The IPhone 5S? Once upon a time, the choice between Android phones and Apple’s flagship product were clear cut: If you wanted a well made premium phone, you chose Apple. That sounds harsh, and whilst Android fans have constantly pointed to the greater openness and customisation options of Google’s OS, the truth was that really good, well finished phones didn’t really exist. Sure, you could find something powerful, but there were few handsets that came anywhere near the build quality of an iPhone. That’s started to change in recent years, and arguably the nicest looking Android phone of late was the the HTC One. This year, its replacement, the HTC M8 is good enough to directly challenge Apple’s iPhone 5C. Which is the best though? Both phones are available in only 3 colours. These colours are all relatively similar. In addition, the bodies are both machined from metal. The comparison ends there though, and the iPhone is much smaller and lighter than the HTC M8, in the main, due to the iPhone’s much smaller screen size. That’s not a criticism of either phone. It just depends on your preferences. Android is going large screen crazy, and for now at least, the iPhone is the handset for those who want to keep their device to a more one-handed, pocketable design. If you ignore the size differences, these two phones are equally well made, although slightly different in design. The HTC is curvy and smooth, whilst the iPhone is angular and sharp. The smartphone war of specs has meant that in reality, once you start paying the top prices for a handset, the hardware is all so similar that it feels exactly the same in operation. You could argue all day about which phone is more powerful, but to be honest, both of these phones are as good as it gets in terms of cutting edge technology. Even their screens are similar in quality, except for the fact that if you want to watch movies and play games, the HTC has a huge size advantage ver the iPhone. another HTC win comes in the Micro SD card slot, which means you can quickly and cheaply upgrade the phone’s storage capacity. This could be a deal breaker in itself when you consider a pay-as-you-go iPhone with 64GB of internal memory costs a staggering £700! A micro SD card of similar volume will only cost a few month’s worth of iPhone insurance premiums in comparison. When it comes to the camera, the iPhone is the clear winner. It’s better in daylight, low light and everything in between. The HTC does have some interesting effects though, and it’s a novel implementation of a smartphone camera. The HTC does have a much larger battery than the iPhone, but it’s also a more power hungry phone to run. Expect both handsets to last an equal length of time. If you watch movies or play games, the HTC is the better choice. The iPhone is quite overpriced for its size, despite packing in similar hardware specs. If you’re keen on keeping your phone size down, and you take a lot of photos, the iPhone is the better handset. Either way, you won’t be disappointed with either of these amazing smartphones. Wendy Lin is a guest blogger and entrepreneur. She has spoken at many women's rights conferences and "women in the workplace" events. The HostGator web hosting company has a reputation within the industry for providing best hosting services. It has specialized in reseller and budget products that enable the operatives to increase the profitability of their businesses. The organization was started in 2002 and was primarily based in Dallas within Texas, USA. Their hosting is undertaken primarily from the jurisdiction but they have an international perspective. The support network is particularly effective and they offer different options for their clients. Their reputation within the industry is virtually unmatched. Nevertheless you have to be prepared to pay that little bit extra in order to get the service. The Site Builder is a great bit of help to the users who are not experienced in the more technical aspects of their work. According to an Independent Review Panel, this was as good as it gets in terms of budget hosting. 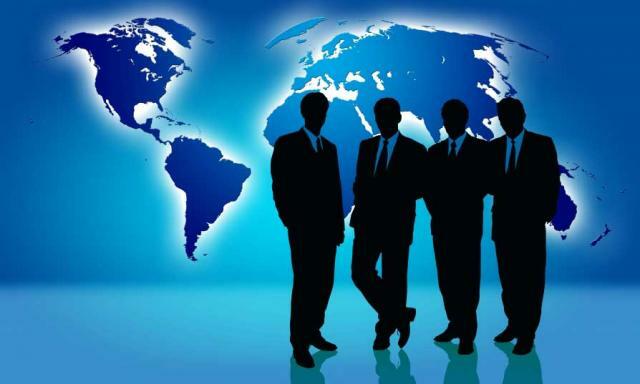 Services: The HostGator web hosting service enables the client to transfer lots of data within the month. The support network is provided on a 24/7 basis and there are multiple channels for the purposes of communication. A strong network means that this service can help even larger businesses to improve their competitiveness. If you want to make use of the site builder then you have to pay a bit more. It uses the Red Hat Linux 9 platform which is great for handling large volume transactions. There is a stepped series of categorized services that start at Budget. They then move on to Dedicated Servers and Reseller products. You will not be short of web space if you decide to use this product. The critical elements in the delivery include template designs, an ENOM domain reseller account and WHM Auto-Pilot billing managers. There are no restrictions on the amounts of principal domains and subdomains that you can use. The MySQL database is expansive. It perfectly complements the CRON, PHP 4.3.1 service as well as the Curl facilities. There is the GD. Spam Assassin which is useful if you want to control the amount of communication which is available to you. Finally you get RV-Skin and Fantastico perks. A C-Panel is used to control the operations of your business. The action list includes the DOT Project, Master Flex, PHP-Auction and Nucleus. You also get the OS-Ticket and the Coppermine Photo Gallery. A multi-language platform improves the international credentials of this product. You get a multi-theme skin management software package which is particularly effective. The customization model improves the usefulness of system. The usage policy is somewhat restrictive. For example you are required to pay an extra $2 in order to gain access to the site builder. That figure is attached to every single website. However a non-reselling account can use this service for free. The confusion is not helpful. Pros: We love the email ticket service. Other communication perks include the instant messenger and toll free phone service. The members of the team are very conversant with the technical details. Cons: There is absolutely no reason why anyone should pay extra in order to enjoy the privilege of the site builder. The company has lost a step in terms of giving flexibility to consumers. Rating: The HostGator web hosting service gets 4 stars out of 5. They could get more if there is a coherent pricing strategy. Jonathan Griffin is the editor of Best Host News, a site dedicated to reporting on web hosting related consumer news. He is particularly keen to provide a place where people can find honest and up to date information on hosting providers. On Feb 04, 2014, Satya Nadella was appointed as the new CEO of Microsoft, changing the future direction of Microsoft. The organization had to change, the technology industry itself changes everyday, technology is upgrade, reinvented or simply created from scratch. If an organisation is to thrive in the field of technology, it must adapt and most importantly, it must innovate staying constantly ahead of all it's competitors. Microsoft's past success has been built on that ability to innovate. For 30 years they have led the creation of new technology, creating products that met consumer demand. Their technology facilitated better business, a trait that has seen them corner the enterprise technology market. That innovation is core to Nadella's appointment and is crucial for Microsoft as the company enters the next chapter in product innovation and growth. The forseeable future of technology will be cloud led, putting Microsoft in a strong position. Nadella was ultimately responsible for the companies strategic and technical shift to cloud, overseeing the development of one of the worlds largest cloud infrastructures, Windows Azure. The future for Microsoft looks exciting, if not yet certain, but before we dream of flying DeLoreans and robot butlers, lets take a closer look at that past history that has taken Microsoft to where they stand today. Using the follow infographic developed by Firebrand Training, let us go on a whistle-stop tour looking at the history of Microsoft Technology. Take a look at the first desktop operating system, discover email management products you didn't know existed, and puzzle at what exactly a relation database management product is. This article was written by Edward Jones, Technical Writer for Firebrand Training. Edward is tasked with servicing the information needs of the technology industry, and spends his days writing how-to guides, news and opinion articles. Nowadays everyone uses computers constantly, as they are inevitable part of our lives. Whether at work, at school or just for pleasure we are always downloading applications, playing our favourite games or simply surfing through internet. If your free disk is full with programs, movies or other types of applications you definitely need an effective tool for cleaning up your free disk space. It is essential not to forget to do this regularly, otherwise the computer will not function properly or at least not with the desired speed. This is a new type of effective cleaning tool that ensures the peace that once you delete the information it is gone for good. It is a free PC cleaner that is accessible to all users who want to take advantage of this tool. It is compatible with XP, Vista, Win7 and Win8. Its smaller size of 3,6 mb makes it a desired choice for the users. Normally when you use your computer you always leave sensitive traces that makes the PC slower and reduces the free space available. Instead of using expert recovery software you can trust this perfect cleaning tool which will help you to clean the free disk in an immaculate manner. This disk cleaner is designed to delete the unnecessary files on your computer and by unnecessary files we mean all those junk files and temporary internet files. Wise disk cleaner possesses interface that is easy for use and helps you to wipe out all the junk files from the computer. In case you are advanced user you can customize some of the operations and to select manually the folders that you want to be cleaned up or to erase files with certain extensions. If you are a beginner you can use the program's default settings to clean up the system effectively. When using this cleaning tool you can erase the files forever or you can firstly place them into the recycle bin. A great advantage is that this tool works fast when both scanning for files and deleting files. The little registry cleaner is an open source, whose purpose is to clean up Microsoft Windows Registry. It is compatible with Win2k, XP, Vista and Win7. It deletes unwanted and obsolete items that are built up in the registry over time and in that way it guarantees for the stability and performance of the computer. This cleaning tool has translations for 17 different languages and is 100% Freeware. Another advantage of this disk clean up tool is that is offers portable edition, that allows you to run it anywhere you want. It manages files that are executed once the windows starts. It automatically backups the registry by using windows and an internal database. CC cleaner is a freeware system optimization and a privacy tool. It allows the Windows to work faster and frees valuable hard disk space. 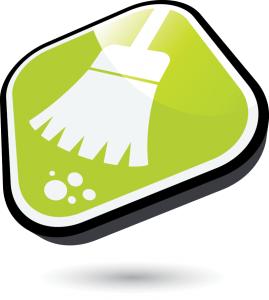 A very important feature of this cleaning tool is that it cleans traces of your online activities like your Internet history. It is fast and it is compatible with Win2k, XP, Vista, Win7 and Win8. The CC cleaner removes temp files and recent file lists from a variety of applications such as Media player, eMule, Toolbar and Microsoft Office. These are one of the best free disk clean up tools that will help you to organize the files and applications on your computer devices in the best possible way. Make sure that you have download one of these cleaning tools, for the proper care of your computer. Author Bio: Silvia Marks loves to write for new technology and cleaning. She runs a company which offers low Prompt home cleaning services. Her hobby is to maintain things clean and pretty.